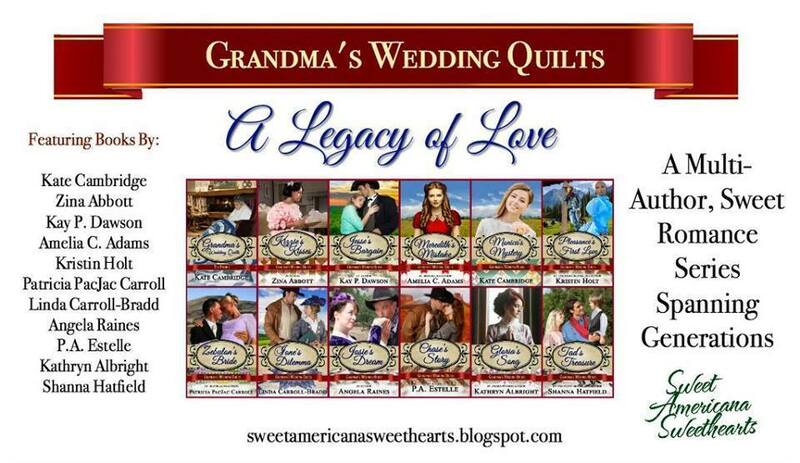 GRANDMA'S WEDDING QUILTS: Twelve Sweet Western Historical Romance Novellas and Novels from Eleven USA Bestselling and award-winning authors. 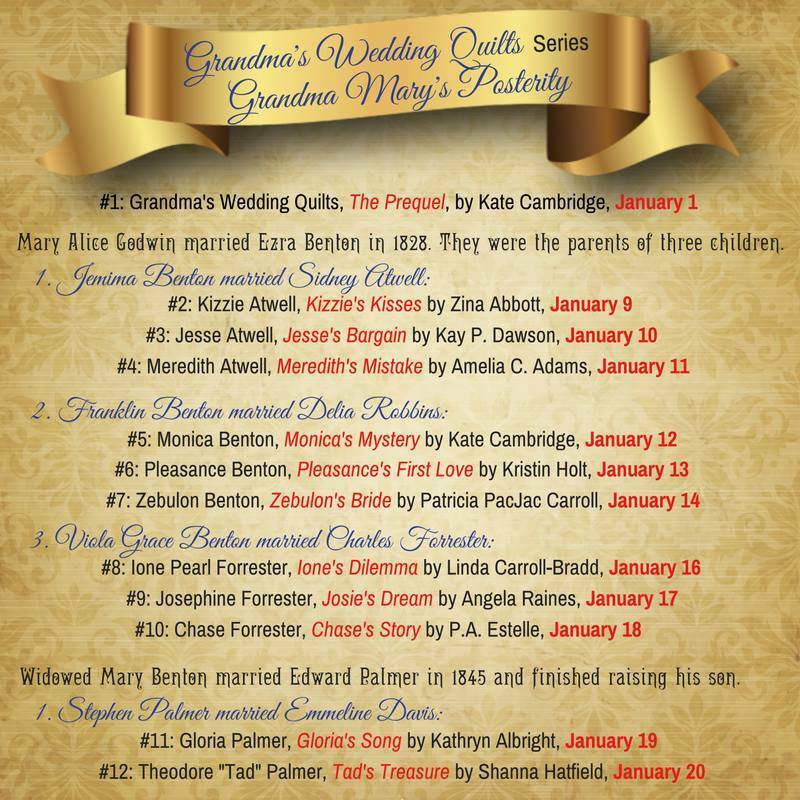 Grandma Mary's traditional gift to each of her grandchildren: hand-pieced and hand-stitched quilts. 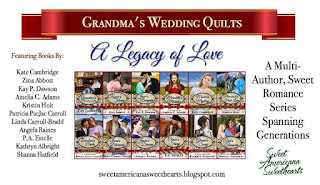 Each is made with love and woven with memories, wisdom, and a family legacy of enduring love. The greatest inspiration is often born of desperation. One year ago Hannah Quinn scored her dream job, and now the fate of the museum she loves will rise or fall on her next exhibit. But wait... there's a problem. She doesn't have a clue what her next exhibit will be! 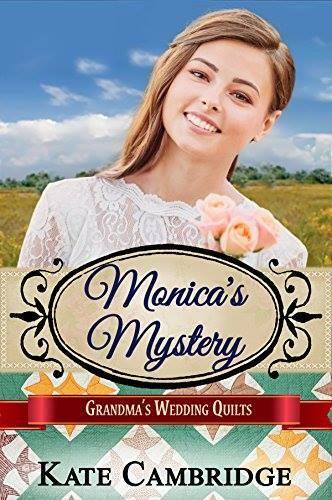 When a trunk with two quilts is donated to the museum, Hannah's boss thinks she's wasting her time chasing down the history of the quilts, regardless of their beauty; but Hannah persists. 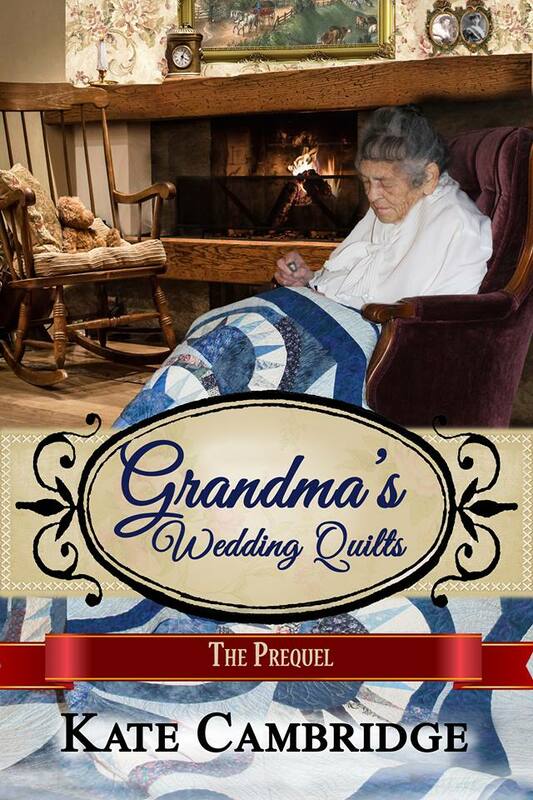 She knows there's something special about these quilts, and a story that demands to be told. 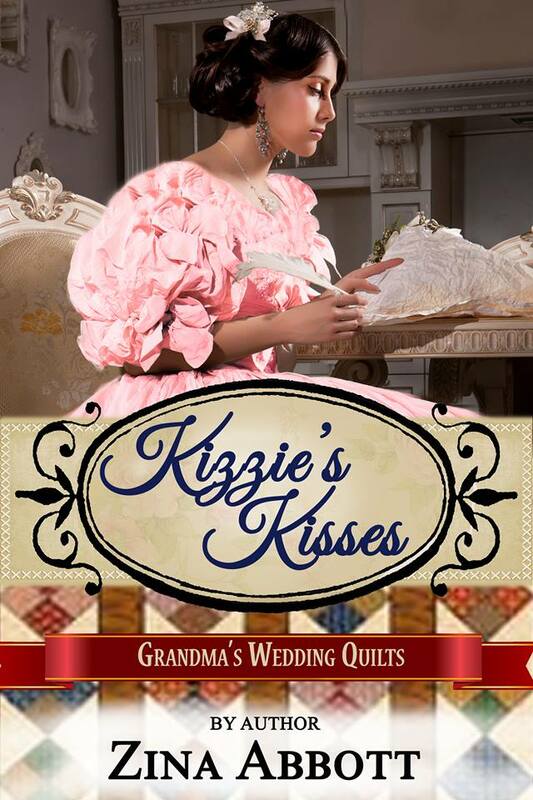 Will her desperation to discover the story of the quilts cause her to lose the very thing she loves the most - or will the secrets she uncover lead her to more than she ever dreamed? Running from hostile Indians attacking Salina, Kansas, feisty Kizzie Atwell runs into freighter Leander Jones traveling the Smoky Hill Trail. He is as interested in her as his stallion is in her mare. The two join forces to prevent the Fort Riley Army captain from requisitioning their prize horses for the cavalry. 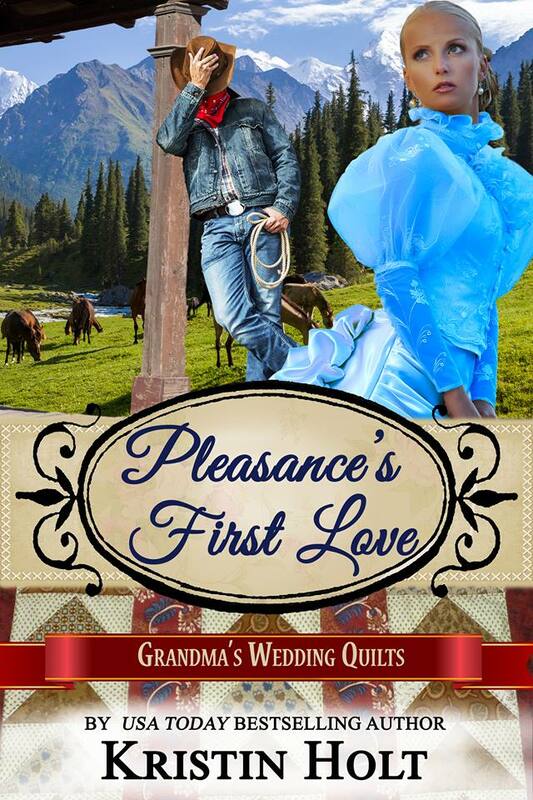 Will the bargain they make to save their horses lead to a more romantic bargain sealed with a kiss? 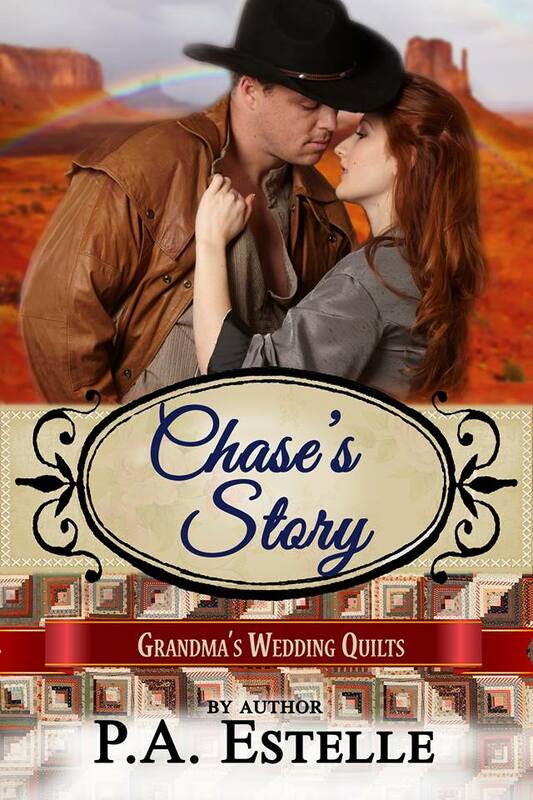 Thanks to a gunfight, Cora now needs to get to Kansas, and Jesse needs a new trail cook. Left with no other choice, she joins the cattle drive headed north, with a man who isn’t happy to have her along. They have miles of trail ahead of them - and a lot that can go wrong along the way. 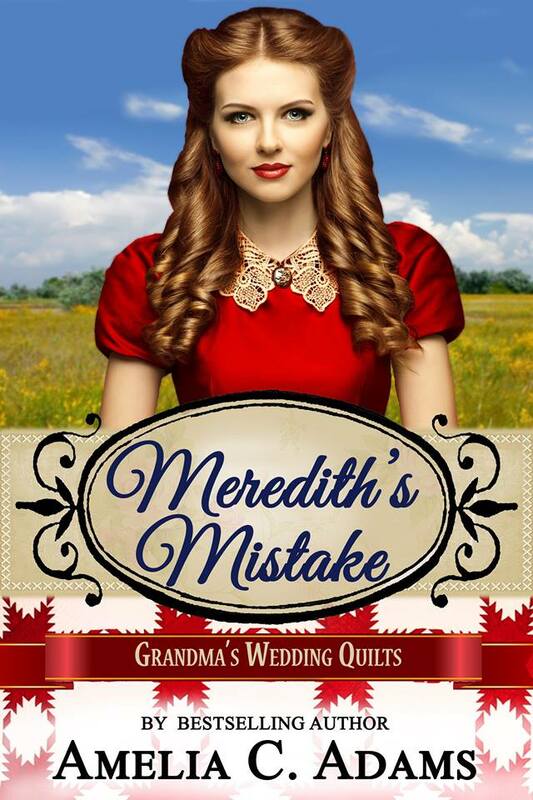 The summer Meredith turned eighteen was filled with romance and laughter - two young men sought her hand, and she chose the one she thought would make her the happiest. He certainly was the most handsome, and the wealthiest, and could offer her the most pleasant life. But that turned out to be a mistake . . . one she would regret for a very long time. In a strange twist of fate, now she's being given a chance to set things right. Will she be able to live down her past, or will her foolishness keep coming back to haunt her and keep her from ever being happy with the man she loves? Monica has to leave home, fast. Her parents are planning to marry her off and although all her friends are marrying, that is definitely not what she wants. She’s seventeen, an amateur sleuth, and sees no reason why she can’t join the ranks of the local lawman, or even become a Texas Ranger, should she choose! What will happen when she visits her best friend in Texas, only to find herself face-to-face with a handsome Texas Ranger, and knee-deep in territory she has no idea how to navigate? No one will ever know how badly Pleasance Benton’s abandonment threw Jacob Gideon. He landed hard, hard enough he didn’t care to find a replacement. Now that he needs a woman, he figures the safest way is to order one from a catalog. Pleasance is back to reclaim her rightful place at Jacob’s side. One way or another she’ll remind him theirs is a match made in heaven…once the shock wears off. The teensy-weensy problem? 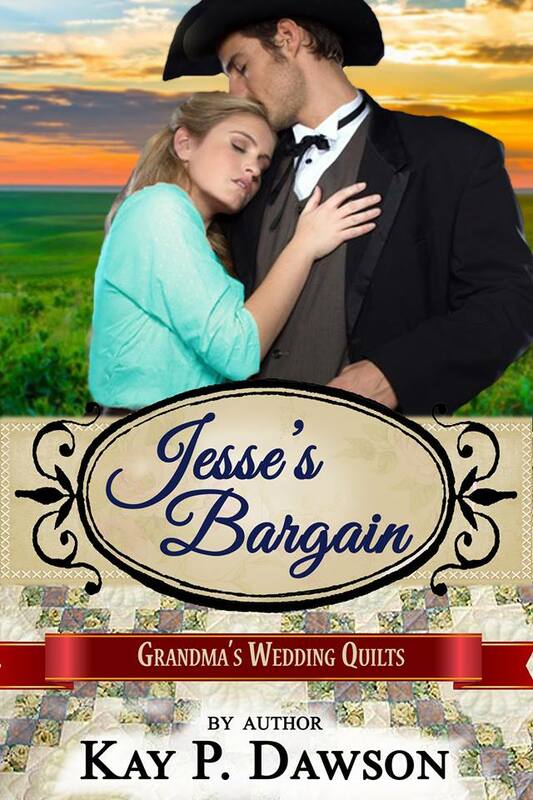 Jacob doesn’t know that she—his first love—is his catalog bride. 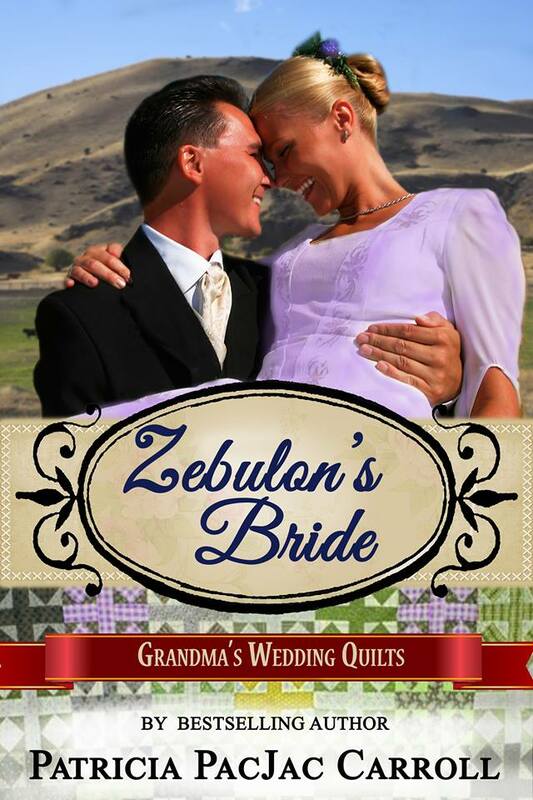 Zebulon Benton dreams of going to Montana, but he’s the only son and his mother doesn’t want him to go and his father needs help with the family store. Unknown to Zeb, his mother sends off for a mail order bride. After all, if Zeb marries and settles down, he won’t want to leave. Enter Amy Gordon from New York. She appears to be the perfect bride for Zeb. Except she also wants to go to Montana and nothing is going to stop her especially her love for Zeb. 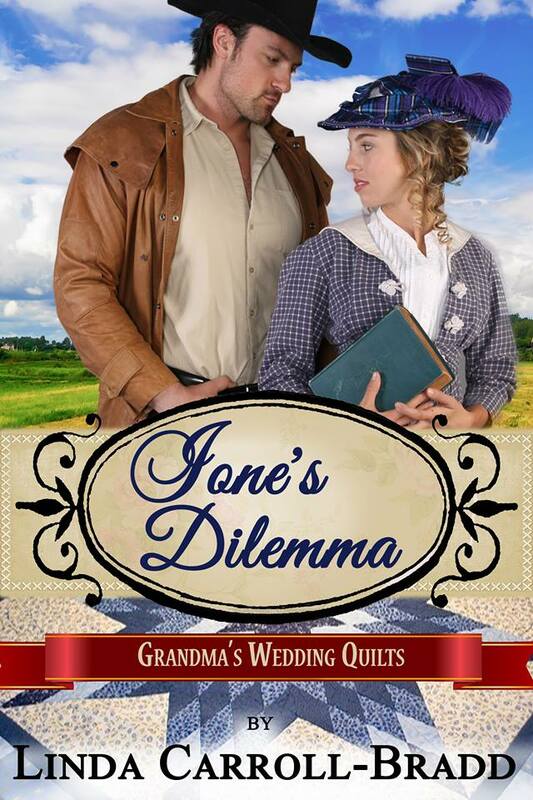 Relocating from Des Moines to the Texas frontier brings more challenges than socialite Ione has ever faced. All she wants is to avoid scandal but local carpenter Morgan is intent on courtship. 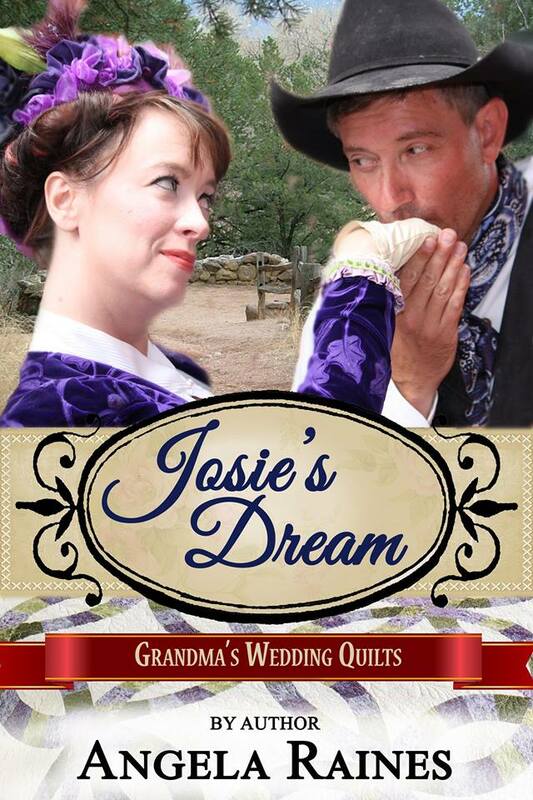 Could Doctor Josephine (Josie) Forrester and Lawman William Murphy get past their beliefs about life and love and find the future they were meant to have? Chase wanted no part of going to college or following in his father’s footsteps and becoming a Doctor. His dream involved cattle and horses and he follows that dream to the Arizona Territory. One cold, rainy day his life takes a turn when he finds himself looking down the muzzle of a Colt Walker barely being held up by a woman who has been badly beaten along with her three-year old son. Will she be someone Chase could let into his heart or someone who could destroy his life? Gloria always does the proper thing, the expected thing as the daughter of a shipping tycoon. Having, Colin, a local tavern pianist, help her with an audition is crazy. But if music can cross class lines… can it also harmonize two hearts? 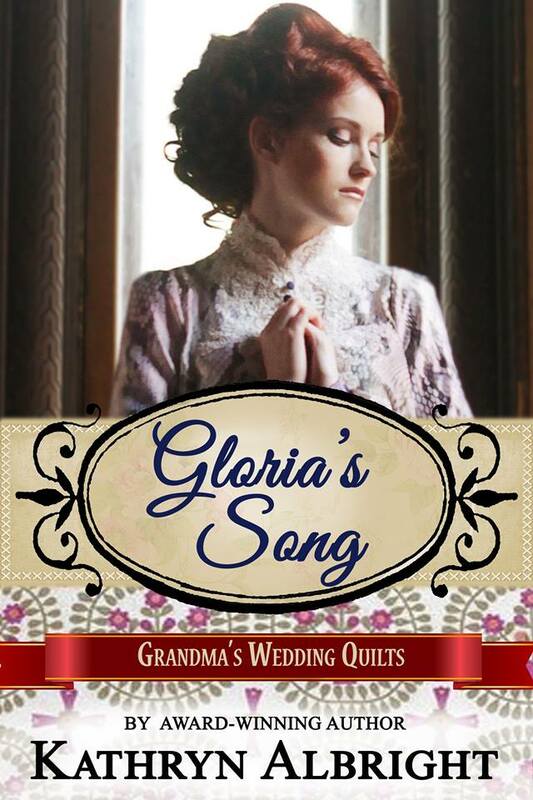 Will Gloria agree to marry a man chosen by her parents, or will she find courage to shun tradition and grasp a future, insecure and thrilling, beside the man she loves. Tad Palmer makes a promise to his dying friend to watch over the man’s wife and child. 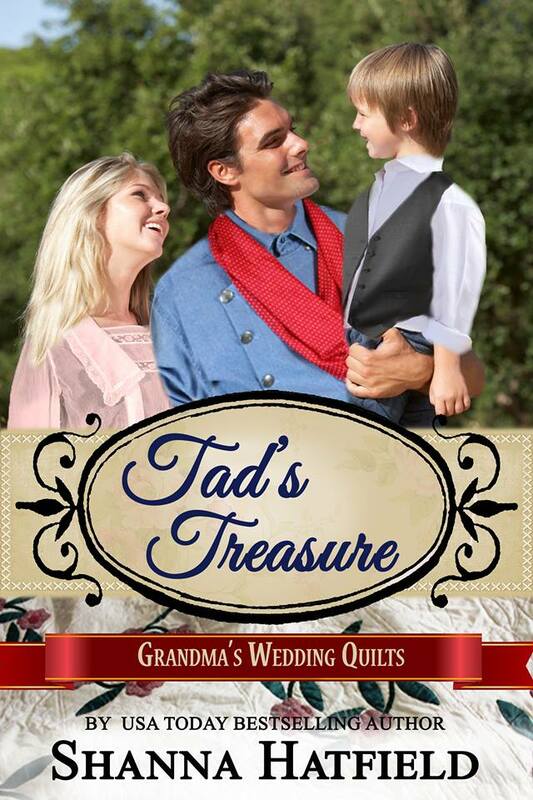 Will his heart withstand the vow when he falls in love with the widow and her son? 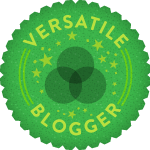 Greetings: I'm a huge fan of Shanna Hatfield, having read just about everything she has ever written. I'm also that rare breed - a guy who loves a good romance. Question: Can I buy the entire collection all-at-once or is it one-by-one? 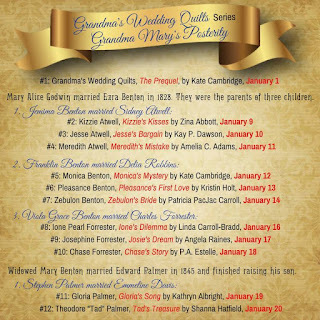 I'd like to read them ALL. 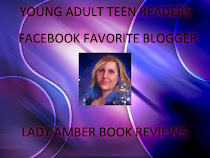 Find my reviews on Goodreads and Amazon as the "chiklitmanfan."